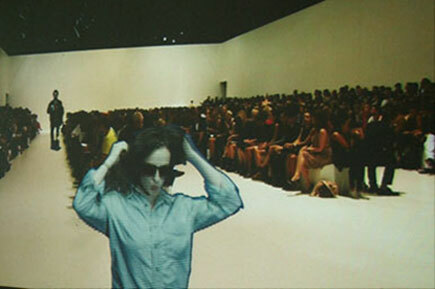 Marc Jacobs @ PS1: Move! 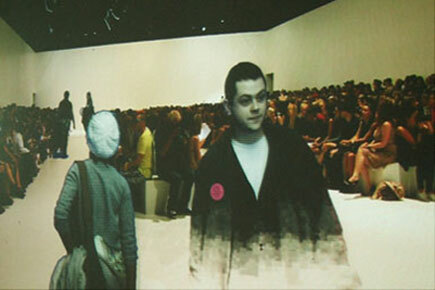 A custom Quartz patch that captures live video and extracts the background in real-time. You enter a room where a woman exclaims “You’re late, I can’t work with models who are running late. We’re ready for you, please make your way down the runway.” Before you know it, you’re walking down a long, narrow hallway towards a mirror, ‘modeling’ as you go. When you step off the runway, you move into a dark room where your walk is digitally superimposed over video of the 2010 spring fashion show, making you the star you were always destined to be.